©2016 Jorge Diaz-Amador. Text, images and other content on this site are original copyrighted works, except where noted. CinemaTechnic and Jorge Diaz-Amador own exclusive rights to this content under the United States Copyright Act of 1976. Unauthorized use and/or duplication of this material without express and written permission from this website’s author and owner is strictly prohibited.Short excepts and links may be used, provided full and clear credit is given to Jorge Diaz-Amador and CinemaTechnic with appropriate and specific direction to the original content. NOTE: I am planning to do an update to this article and break it into multiple pages to avoid having excessively long pages. If you have any suggestions of anything that I should add to the article please let me know via e-mail. 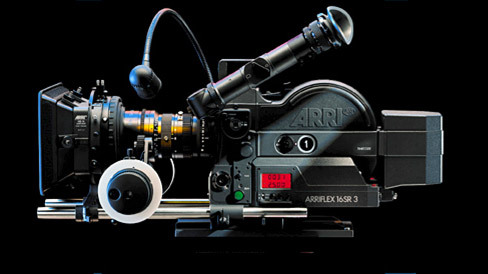 If you are looking for technical service (maintenance and repair) of your Arriflex 16SR series camera, click here. Introduced in 1975, the 16 SR clearly shows the influence of the revolutionary Éclair NPR in the ARRI designer’s thinking. The appearance of the 16 SR clearly showed that the age of coaxial instant-load magazines had arrived in 16mm cinematography. 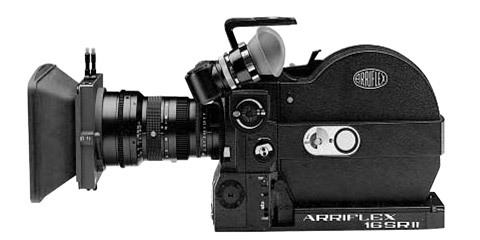 The Arriflex16SR is that it is the closest thing to a do-everything camera that ARRI ever produced. It is also the industry standard, and most widely used 16mm camera in the world, even now 40 years after its introduction. The 16SR series cameras were produced for nearly 30 years, and a total of 5100 cameras (from SRI to SR3 Advanced) were built. It is the most popular and successful modern (post 1970) ARRI film camera. The 16SR marked a huge improvement in ARRI 16mm viewfinders. The new finder was fully orientable (the image is always right side up, regardless of what position you put the finder in). But the finder didn’t just pivot, it also could swing to the top of the camera, or to the right side of the camera. The eyepiece could also pivot out (away from the camera body) slightly. The new finder was much brighter and sharper than any ARRI 16mm before it. The 16SR viewfinder has a resoultion of 125 lines per milimeter. This extremely high resoultion (equivalent to approximately 1500 horizontal pixels in S16 format) allows very accurate judgement of focus through the eyepiece. The SR uses a fiber-optic viewing screen instead of a conventional ground glass. This also contributes greatly to the SR’s bright viewfinder, which allows you to see clearly even at small apertures such as T8 and T11. The SR came standard with a through-the-lens light meter, referred to as APEC (ARRI Precision Exposure Control). Some models, referred to as “Automatic” SR’s interfaced with lenses that had special pins that allowed the aperture to be set automatically by the SR’s light meter. Only three APEC lenses were offered: The Angenieux 10-150 T2.3-3.2, and the Zeiss 10-100 T2.0 and 10-100 T3.1. These lenses can easily be identified by the two small chrome pins that protrude from the back of the lens mount, near the rear element. Please read my warning on the use of these lenses. The 16SR increased the speed capability of ARRI 16mm to 75 fps. There is also a Highspeed version of the 16SR with a special motor that has a top speed of 150 fps. These cameras are painted a light grey and have special mags labeled Highspeed which are required for these cameras. High speed mags have fixed pressure plates without the floating aperture pressure pad used on the regular 16SR. HS mags can also be used on regular SR’s, but the flange focal distance must be adjusted to compensate for the lack of a floating pressure pad. Highspeed 16SR cameras have a minimum speed of 10 fps and are louder in operation than a standard 16SR. It is possible to convert a regular 16SR to Highspeed configuration (by switching out the motor and circuit board). It is also possible to increase the top speed of a Highspeed SR to 200 fps with third party upgrades. A very useful feature is the camera’s 11-pin Fischer accessory socket. It employs the ARRI standard interface for external speed controls. This allows the use of a variety of external speed controls, which also work with the ARRI 35-III and 35BL models. A digital precision speed control, such as the Cinematography Electronics Precision Speed Control, is a common and very useful accessory that is not compatible with any of the older ARRI 16mm models. The 16SR also included a Tuchel socket, next to the Fischer 11. The Tuchel socket was designed to provide Pilotone sync signal to a Nagra tape recorder. With the introduction of crystal sync on the Nagra, and now widespread use of DAT (Digital Audio Tape) for sound recording, the Tuchel socket is obsolete. It is possible to add another Fischer 11 socket in place of the Tuchel socket. CinemaTechnic still performs this upgrade. Many ARRI accessories interface with the 16SR. A set of lightweight accessory rods mount directly to the SR’s accessory shoe (just below the lens) and allow the use of a lightweight follow focus and a lightweight matte box. A Bridgeplate is also available that mounts to the bottom of the camera and couples with a dovetail sliding base plate. The combination allows the use of standard 15mm accessory rods. All ARRI matte boxes and Studio Follow Focus and lens supports are compatible with the Bridgeplate. The sliding balance plate allows the camera to be balanced on nearly any fluid or geared head, even when using long or heavy lenses. These are considered standard accessories and are nearly mandatory for any type of professional work. The 16SR is the first 16mm camera from ARRI that is compatible with all standard accessories, without the use of rare adapters or modifications to the camera. Despite being more complex than any of it’s predecessors, the 16SR has a great reputation for reliability. This is notable because the SR has by far more electronics in it than any previous ARRI 16mm. The SR is even somewhat tolerant of abuse and operator error. The earliest 16SR’s had a constant current 3 phase motor manufactured in France that are commonly known as “French Electronics” or “French Motor”. The main board on these cameras has two circuit boards sandwiched together. Jumpers are used to switch the crystal speed between 24 and 25 fps and the pilotone output between 50 and 60 Hz. There are also eight transistors on the bottom of the second board that are heatsinked to the SR base casting with four screws. The circuit board was actually made in Germany like the rest of the camera. I think of these cameras as Early SR-1’s. The biggest change in the 16SR 1 evolution came with the introduction of a new electronic package and motor manufactured in Germany. This is commonly referred to as “German Electnonics” or “German Motor”. This substantially the same electronics and motor that is used in the 16SR-II. Early 16SR cameras have three screws on the inching assembly instead of the four used on later cameras. The phenolic gear that drives the magazine drive gear is of a larger pitch. The earliest cameras have a plastic disc instead of the metal inching knob. It is reccomended to upgrade the older inching assembly to the late SRI/ SRII style. The 16SR-I introduced the new ARRI Precision Exposure Control (APEC). A through the lens exposure meter was incorporated into the camera. The SR-I’s also had two couplings in the Bayonet lens mount that were designed to actuate special pins on auto-iris lenses. On all 16SR’s except the SRIIE, switching the camrera into “standby” mode would actuate these pins so that the shooting lens colud be set to the shooting T-stop, and focus could be set with the iris wide open, then the iris would close down when the camera was placed in “standby” mode. Cameras with the “Automatik” label on the switch cover had tiny motors inside the front casting to actuate the iris automatically based on the light meter reading. These are the auto exposure 16SR’s and they require an “auto exposure” lens for this feature to work. Only three such Auto Exposure lenses were produced: The Angenieux 10-150mm T2.3, and the Zeiss 10-100 T3.1, and 10-100 T2.0 introduced with the SR-II. Some 16SR-I cameras were labeled “Automatic” and fitted with an automatic exposure system that used the couplings to automatically actuate the iris, directed by the APEC exposure meter. On “non-automatic” 16SR’s (both I and II), when fitted with an auto-iris lens, the lens will open to maximum aperture when the camera is in the “off” position, and the lens will stop down to the T-stop set on the iris ring when the camera is switched to the “standby” position. The auto-iris couplings are removed when the camera is converted to PL mount. 16SR I Cameras with the SRII style German motor usually sell at higher prices than the older cameras. This makes sense because the likelihood of electrical problems is higher with the older electronics. ARRI long ago (at least by mid-1990’s) discontinued spare parts availability for the French motor or the dual layer circuit board that goes with it. Today (2016) there is no availability of any 16SR spare parts from ARRI. CinemaTechnic maintains a limited inventory of 16SR spare parts, including French motors and dual circuit boards. These motors and boards have been checked and serviced by ARRI. It is possible to do a complete exchange of the electronics and motor for the newer German electronics (although the availability of such parts is very limited). The German motor also runs quieter. The highspeed version of the 16SR was introduced in 1979 offering a speed range of 10-150fps for slow motion cinematography. The HS variant uses a different motor and circuit board to achieve the higher speed, essentially running at double the speed of a standard 16SR. 16SR-HS versions are painted gray and have magazines with fixed highspeed pressure plates that do not have the floating pressure pad. Regular 16SR mags cannot be used on a 16SR HS. Regular mags will fit, but images will be soft and if used above 75 fps, the image will flutter. Standard and HS cameras also have different flange focal depth settings. 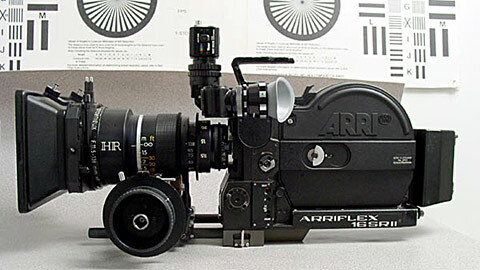 Less than 250 Arriflex 16SR-I HS cameras were made since the SRII upgrades were introduced shortly after its introduction. Most Highspeed cameras are 16SRII-HS. The only significant difference between 16SRI-HS and 16SRII-HS is the upgraded SRII light meter. As the evolution of the 16SR I continued, ARRI began to add features to the camera. A new ARRI Precision Exposure Control (APEC) was added that automatically detected the camera’s speed, making it unnecessary for the user to set a frame rate (fps) on the meter as with the SR-1. Extra sound insulation was added to the main “tower” casting, essentially isolating the movement/gate block from the rest of the tower casting through a rubber insert. At one point so many changes had been made that the decision was made to rename the camera 16SR II. On the earliest of these cameras you can see how a “16 SR II badge” was added to the base after “16 SR” was machined out. In 1982 ARRI introduced the 16SR II-E, meant as the “Economy” model since it was $3,400 less expensive than the standard 16SR II. The 16SR II-E is identical to the 16SR II, except that the APEC metering system is not incorporated and the couplings for automatic exposure with auto-iris lenses are not built in. Ironically, these same specifications were re-introduced in the 16SR 3 Advanced. SRII-E cameras have a different run switch which is always in “standby” mode. This switch was also commonly fitted to SRII’s that were upgraded with the Cinematography Electronics 16SR speed control. 16SR II’s are rated by ARRI as having a 3 dB lower noise level than 16SR Is. However the tolerance for this average noise level is plus or minus 3 dB. This means that the quietest SR-I’ s have the same noise level as the average SR-II. The loudest SR-II’s have a noise level of the average SR-I’s. These are the tolerances for brand-new cameras from the factory and used cameras will have a much greater variation, depending on the type of use and frequency and quality of maintenance they received. It has been my experince that cameras that are not overhauled and lubricated at least once every five years will become quite noisy due to wear of the movement. 16SRII’s were much more popular as rental cameras, and used ones often have a great deal more wear. I’ve seen many SR II cameras that were much louder than an SR I. Late model 16SRII cameras incorporated a few minor upgrades. In 1984, at the request of NASA who was using the 16SR on the Space Shuttle, ARRI added dual flashing red running lights (earlier cameras had a single running light that was hidden behind the on-board battery), a green LED to indicate proper battery voltage, and an infrared LED system to detect when the tail end of the film has run past the gate and shut off the motor. These upgrades were added to all 16SRII cameras after their introduction on the NASA cameras. In 1989 Kodak introduced Reduced Tolerance Perforations in 16mm filmstocks. The size tolerance for the perfs was reduced to 0.01mm. This allowed ARRI to increase the size of the regstration pin to 1.26mm, which produced an increased registration accuracy of plus-minus 0.01mm (approximately 1/750th of the image height). This new registration pin was introduced in the very last 16 SR II’s produced and is standard on the SR-3. It can be retrofitted to earlier SR’s. Some SRI and SRII models were manufactured as factory Super 16 compatible. These cameras had a different front casting with a bayonet mount that was shifted 1mm to align it for Super 16. The cameras had a 172.8º mirror shutter. These cameras could not be used to shoot on standard double-perf 16mm film, as the lens mount is permanently set to super 16 and would be far out of alignment for standard 16. This misalignment causes zoom shots to have a very noticeable lateral image shift, and prevents the use of standard-16 lenses that would otherwise be compatible because of vignetting. The magazines on these factory Super 16 cameras were exactly the same as on a standard 16mm SR. This can cause scratching or pressure marks in the image area on the right side of the frame. It is reccomended that all 16SR magazines be upgraded to Super 16 compatibility. Although some would make the claim that the modifications are not neccessary, ARRI certainly felt changes were needed when it made the appropriate changes to the SR3 magazine. ARRI Great Britain offered a nice Super 16 conversion for the 16SR cameras. These are always SRII models and were likely offered as new, already converted cameras. The cost of this option was over $10,000 USD. A PL mount Super-16 conversion solves this problem of not being able to shoot both formats with the same camera, because the lens mount is eccentric, and can be switched between the two different formats. Now that double perf film is a special order only item, and regular 16 is a nearly obsolete format, having a lens mount permanetly set to Super 16 is not a disadvantage at all. In 2003, CinemaTechnic introduced our reduced cost Super 16 conversion for the 16SR. In this conversion the Bayonet mount was re-centered to the Super 16 position. These cameras are Super 16 only, like the ARRI factory Super 16 cameras. We later introduced a Super 16 only PL mount conversion in December 2003 which was much more popular. With Super 16 now the standard, and double-perf film rarely seen, there is no longer an advantage to being able to shift the optical center. The only reason to shift back to standard 16 centering would be if you were shooting film to be printed on 16mm release print with an optical soundtrack. P+S Technik of Germany has pioneered extensive updates of the 16SR. The most basic Evolution of the 16SR is a basic conversion to Super-16. These cameras have PL mounts nearly identical to the SR3, and have the film transport upgraded to the SR 3 design, allowing the use of the original 180º shutter in the Super-16 format. They are also equipped with SR3 Super-16 gates, and use SR3 fiber-optic screens. NOTE: P+S Technik upgrades for the 16SR are discontinued. 16SRII-E with Jurgen’s Video Assist, Angenieux 11.5-138mm T2.3 HR zoom lens, CinemaTechnic Superlite Baseplate, ARRI FF-2 Follow Focus, ARRI LMB-5 Matte Box. This was my personal 16SR. ARRI 16SR3 with Zeiss Vario-Sonnar 2/11-110mm T2.2, Finder Extension, MB-16 Matte Box, FF-3 Follow Focus, Bridge Plate, Lens Light. The 16 SR-3 is the biggest change in the 16SR design. .The camera has a completely new 24 volt electronic package. It is the first 16SR that was ready to shoot Super-16 format from the factory. The 16SR3 follows the SR2 form factor closely, and the main difference in the body of the camera is the different housing for the new electronics that features a digital display on the operator’s side near the run switch. The SR3 has a PL mount which can be switched between standard and super-16 alignment. The SR3 has a new optical system with a user-adjustable orienting prism. The new shutter has a variable mechanism that allows adjusting the angle from 45º to 180º . The movement timing is different allowing you to shoot super-16 with a 180º shutter angle. It is fitted with a super-16 gate as standard. The body is equipped with timecode electronics (the time code imaging LED’s are in the mags). Half the video assist optics are incorporated into the body. You still need an accessory camera top handle with the rest of the video assist optics. External accessory speed controls are rareley needed with the 16SR3 because the camera has built-in precision speed control, adjustable in .001 frame per second increments. The SR3 is noticeably quieter than an average SR2. Low mileage well maintained Highspeed SR3’s are as quiet as a standard SR2. The SR-3 Advanced is essentially a SR-3 without a built-in light meter, and incorporating a new film gate with sapphire rollers that provide increased lateral registration stability and protection from wear of the gate side rails. Removing the light meter and its beam splitter increases the amount of light transmitted to the viewfinder, which compensates for the light lost to the video assist prism. 800ft film magazines is available for this model. If your goal is to do professional quality projects shooting 16mm, 16 SR-I is the entry-level. I would strongly advise buying an already Super 16 converted SR, or factoring in the cost of conversion into your camera budget. The 16SR is extremely durable and reliable, and is easily serviced. There are more camera technicians familiar with the 16SR’s service procedures than any other 16mm camera. I once had a client whose SRI was damaged in return shipping form me to his temporary location in the U.S.. He had to get on a plane to New Zealand that very same day. I was able to arrange for a technician at Panavision New Zealand to take a look at the camera once he arrived. The tech at Pany NZ was familiar with the 16SR and was able to resolve the problem for my client (thanks Wes!) I don’t think my client would have been so fortunate had he owned another type of 16mm camera. Cost is really the only disadvantage of the 16SR, and this is only in comparison to older ARRI cameras. These days, with the huge price drop in all film cameras and the extreme difficulty in finding service and parts for cameras older than the 16SR, it just does not make sense not to spend the money to buy a 16SR as opposed to any previous 16mm Arriflex model. You can now buy an ARRI 16SR at bargain liquidation prices. Entry level is a nearly 40 year old and very worn SR-I for approximately $1,-2,000 USD for a camera body with two mags, an older zoom lens, and a few accessories. This is a huge price drop from the $4-6k USD these cameras fetched in 2005. That cost can rise to about $3-$4,500 for a Super 16 convertedSR-II Super-16 with video assist. Similar cameras used to sell for $20-25k in 2005. Highspeed and 16SRII P+S Technik Evolution cameras carry a premium due to their rarity. 16SR3’s are also available, many rental houses having sold off their inventory. Sale price tends to be $3,500-5,000 for a very basic package. These cameras sold for $40-60k in 2005. It is VERY important to keep in mind: The current prices mentioned above are liquidation prices. You are not going to get a pristine camera that is up to date on all maintenance for that price. Unless you are buying a 16SR with written assurance that all needed service has been done from a REPUTABLE seller (which really narrows the field), assume that your camera will need to be checked out by a qualified ARRI technician, and that you will need to budget some funds for that inspection and any needed service. At the moment, the 16SR cameras are recovering from their nadir in 2013. Prices have dropped about as far as they will go. Now that the death of film has been averted with the emergence of Kodak from bankruptcy and film labs in major cities continuing in operation, the future is for the first time looking a bit brighter. Most rental houses have sold off their inventory of 16SR cameras, and are maintaining only the Arriflex 416 as an S16 rental camera. Extremely attractive prices have motivated a new generation of 16SR owner-operators. These new owners comprise fine visual artists, and cinematographers seeking a unique look for a project. They face unique challenges in finding service and parts for their cameras, since ARRI can no longer be counted on as a resource. Beyond this time, I expect to see a market in film cameras as collectibles. Since the primary source of spare parts today is cannibalizing entire cameras, complete motion picture film cameras will be come scarce, and due to their rarity and cultural significance, will be come highly sought after collectibles. ©2016 Jorge Diaz-Amador. ALL RIGHTS RESERVED.